Insiders to ITV reality show Love Island have revealed two contestants have quit. The unknown source claims the show has been rocked by the out-of-the-blue departure of the show’s two biggest personalities. Furthermore, the sensational walk-out will be aired later this week. While the identity of the two departees remains a mystery, several people on social media have speculated fan favourites Dani Dyer and Jack Fincham have left. Unbelievable. Just been sent a photo from my cousin of Jack and Dani from #loveisland coming through arrivals at Stansted Airport… The show isn’t going to be the same! Unbelievable. Just been sent a photo from my cousin of Jack and Dani from #loveisland coming through arrivals at Stansted Airport… The show isn't going to be the same! With the show ending in less than two weeks, the news comes as ‘a huge bombshell’ for the remaining contestants and dedicated fans of the show. The final episode will see one couple walk away with a potential £50,000 cash prize. No one expected these two to leave and it is a massive shock. Their fellow islanders were stunned when they spoke about their reasons for quitting. It’s going to have a big effect on the show, it’s a huge bombshell, and they are going to be massively missed by their co-stars. An announcement has yet to be made by ITV or Love Island executives. This season of the guilty-pleasure reality show has seen viewership ratings go through the roof, because of the amazing stats this season ITV 2 has renewed the show for another five years (dear God!). We are delighted that viewers have embraced Love Island so wholeheartedly; it has become the most talked about show of the summer. We are thrilled that we will be back with a new series next year. Okay here’s where I call codswallop. I have nothing against Love Island, honestly. But to claim your show was ‘the most talked about show of the summer’ is completely off-base. The World Cup took place this year so anything in-and-around that period is an afterthought, sorry but that’s facts. The show has been thrown into disrepute recently after allegations were made that the show was fixed. You don’t say? A reality show on ITV is completely fabricated, colour me shocked. 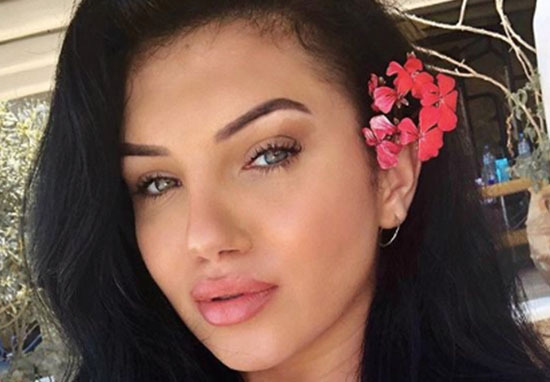 Fans of the show questioned Love Island‘s legitimacy (lol) after a big revelation was made about the villa’s newest member, Alexandra Cane. The contestants on the show were first made aware of new girl Alexandra when Dr Alex received a text inviting him out to brunch with the new mystery woman. After she met Alex and Jack on their two dates, she entered the villa to face the rest of the contestants where she was greeted by the islanders as they met for the first time. Love Island fans immediately delved into the new girl’s life, no doubt searching for gossip that would help fans form an initial judgement of Alexandra and determine who in the villa she would match well with. The revelation they found didn’t bode well for their trust in Alexandra or ITV. One fan uncovered a picture of Alexandra and Megan together, suggesting the two knew each other in a pre-Island stage of life. Apparently, the two even appeared in a music video where they can be seen sharing a kiss. Wow, Love Island fans can uncover this kind of revelation but the murders of Tupac and Biggie still remained unsolved. Something isn’t right here. Love Island is on every day on ITV2 at 9 PM, except on Saturdays.